Salvaging, Sawmilling, and Marketing Urban Wood Guide is a free down-loadable publication available from Wood-Mizer of Indianapolis, IN. 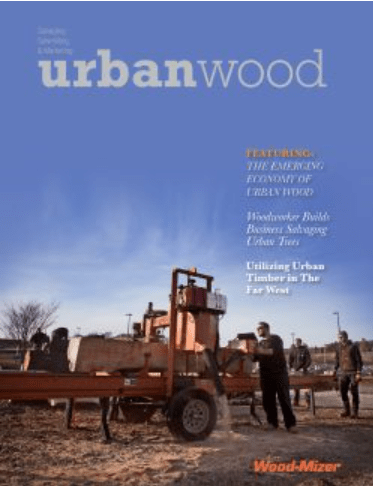 The urban sawmill guide includes an intro and other information from note urban wood expert Sam Sherrill, case studies of urban wood businesses and other information for those looking to enter or grow their place in the urban wood movement. The guide is free to download and is an adjunct of Wood-Mizer’s new Urban Sawmilling video series.